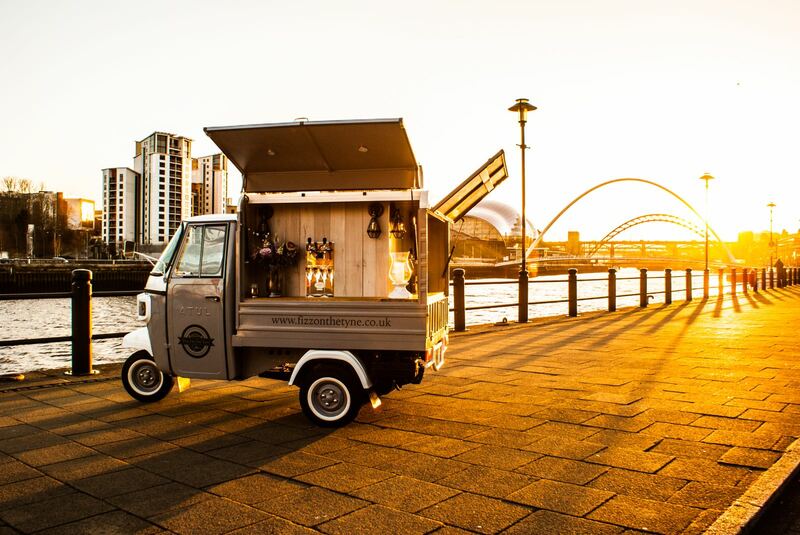 Welcome to Fizz On The Tyne - The North’s premier Prosecco van. We put the 'Pro' in Prosecco! Fizz On The Tyne mobile Prosecco Bar are based in Newcastle and offer an exciting and unique mobile Prosecco on tap & fine Italian lager bar all custom built within a vintage Italian style van. We are available to hire for weddings, corporate events, private parties and other special occasions for the best Prosecco experience throughout Newcastle and the North East. Let us add the fizz and sparkle to your event! Want a bespoke service for your special event? Let us supply you and your guests with chilled Prosecco and Italian lager from our chic & stylish van that will make your special day one that everyone will remember. Looking to bring something fun and different to your festival - we can provide packages to suit or 'sell by the glass'. Just let us know what you'd prefer! Planning a special party? From hen parties to private summer garden parties, we've got it covered. Our cute, small Italian styled van can fit comfortably into gardens and garages to give your party a real centre piece. Want some celebratory bubbles for your launch event, company summer or Christmas party? Get in touch and see how we can help your event start with a bang!